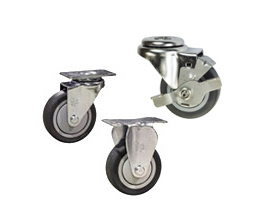 Light to medium duty casters with up to 300 pounds capacity per caster. 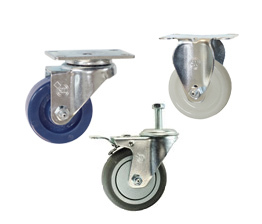 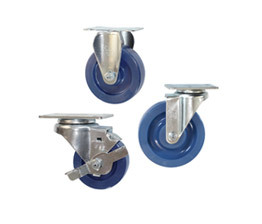 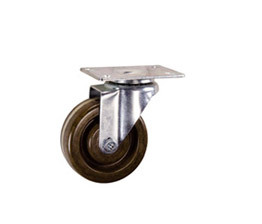 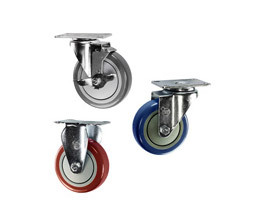 Featuring fully heat-treated raceways, bright zinc plating, and 1/2" precision kingpins, these casters are ideal for dollies and stocking carts, food service, utility carts, office equipment, and computer room equipment. 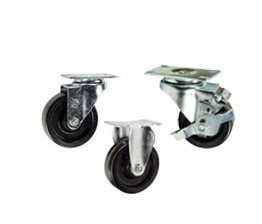 Further applications include laboratory and institutional equipment, mail carts, library carts, welding carts, road cases, and service carts. 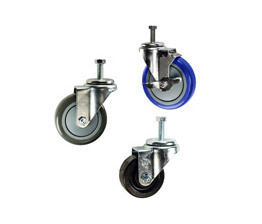 Threaded stem and expanding stem models are ideal for wire racks and shelving units. 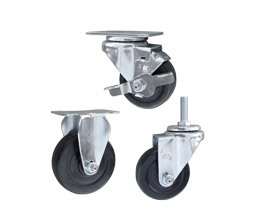 Choose from rigid, swivel and swivel with brakes models to attain the perfect configuration for your application. 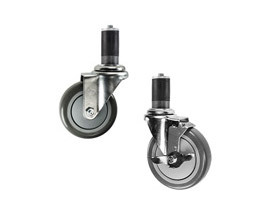 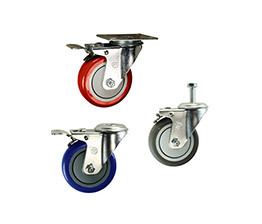 Service Caster #20 Series casters are made in the USA with global materials at our facilities in West Reading, PA.